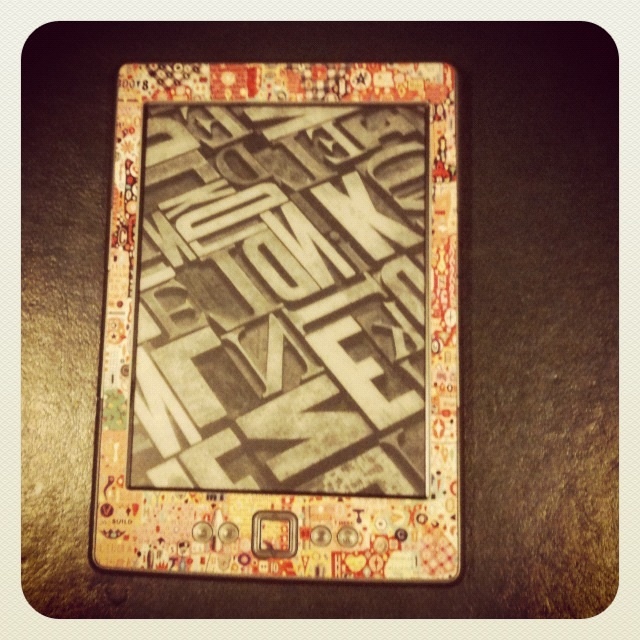 I was anti e-readers for a very long time. I love the smell of books…I like seeing them lined up on my bookshelf…I like lending them to friends. Actually, I don’t like lending. Because who has ever seen a lent out book again? When the Kindles were finally released at the tight arse friendly price of 89 pounds last year, I succumbed, justifying the purchase as ultimately a money saving exercise – a Kindle would be a very cost effective way to roar through the classics, as they’re out of copyright and therefore free. What I didn’t realise was that the Kindle would become my best friend. Any Londoner knows that you spend a lot of time waiting around…and having a tiny library in your bag at all times is a godsend. I’ve read more books in the last few months than I’ve read in years because I can pull out the Kindle whenever I’m killing time. I’ve also saved a fortune on trash mags. Who’s got time to read about Pippa Middleton’s weekend when I need to find out if Jane Eyre and Mr Rochester are going to hook up? And my favourite thing about the Kindle? Nobody can see that I’m actually reading Confessions of a Shopaholic. My Kindle is protected by a Gelaskins cover.